Editor's note: we recently heard from KV Bunker, who recognized these photos were taken near Old Town Sacramento. I've traveled there many times to stay on the Delta King Steamboat Hotel - but never picked up the connection. I just stumbled upon the wonderful steamboats.com site today and was just poring over the movies section. The very rural scene showing the 'Cotton Palace' being shoved toward shore more likely was shot on the Sacramento River side channel known as "Steamboat Slough" - or just as easily a similar stream on the eastern side of the main river, "Georgiana Slough." The main Sacramento is nearly always betrayed by taller California-style levees and a broader water surface, which are aspects quite so typical (especially before the 1940s and '50s) in the paralleling sloughs. The earlier shot (above) was shot from the Yolo County bank opposite Sacramento, with what we now call "Old Sacramento" (back then "Skid Row") and the Southern Pacific Railroad's waterfront freight dock and railroad freight station in the background, and the CA State Capitol dome in very far right background; the mansard roofed building in far center distance is the landmark 926 J Building, which my late dad formerly served as building superintendent (it's now the Hotel Citizen). I have a hunch the steamer heading downstream mid-river was the old 'Napa City' but would have to study her details a lot more closely. Old Sacramento got a long head start before Delta King arrived, having been instituted (slowly, at first) when Interstate 5 ripped through. The present Old Sac district was the original intended path for that freeway, and locals fought hard to get it move three blocks east. Sacramento thereby lost other historic buildings and most of the old Chinese district, but at least the original townsite was rescued. It took the establishment of California State Railroad Museum (where I worked about 15 years) and Old Sacramento State Historic Park in the late '70s to really put impetus to get the rest of the district (98% private commercial properties) either restored or reconstructed. I recall when DK was rescued from her precarious situation near Rio Vista, and had gone on board her the first time after she was raised from the mud. I then joined others that triumphal day when her tired hulk was towed up to the old River Lines dock and went aboard numerous times during the two initial restorations. Of course we all celebrated when the Coyne Brothers finally managed to get DK to the state we now know and love, especially after the replicated sternwheel was installed. I must say how I'd get goosebumps climbing or descending Delta Queens grand staircase in my October 2004 cruise, recalling the same path on the King, and feeling their connection much more vividly thereby. It was fun talking with DQ officers and crew about DK; those who had never been aboard the King were very interested to learn anything they could about the other sister, particularly DQ's captains - one of them a young woman and 4th generation river pilot. Anyway, cheers for a great site! The Senate passed the Save the Delta Queen bill November 14, the House passed it November 27, and the president signed it December 4. 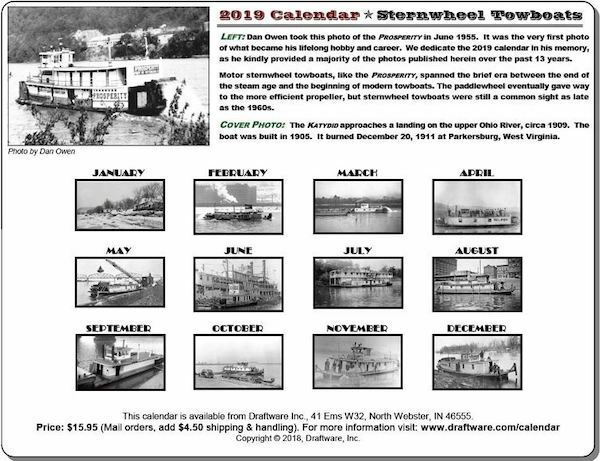 2019 Sternwheel Wall Calendar is Available! 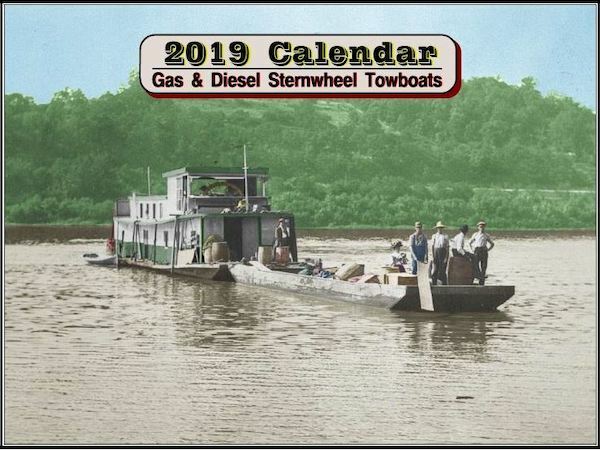 Back by popular demand, the 2019 calendar features early photos of sternwheel towboats. The calendar contains 13 large photos printed on heavy card stock, suitable for framing. Plus Shipping: $ 4.50 for one calendar. 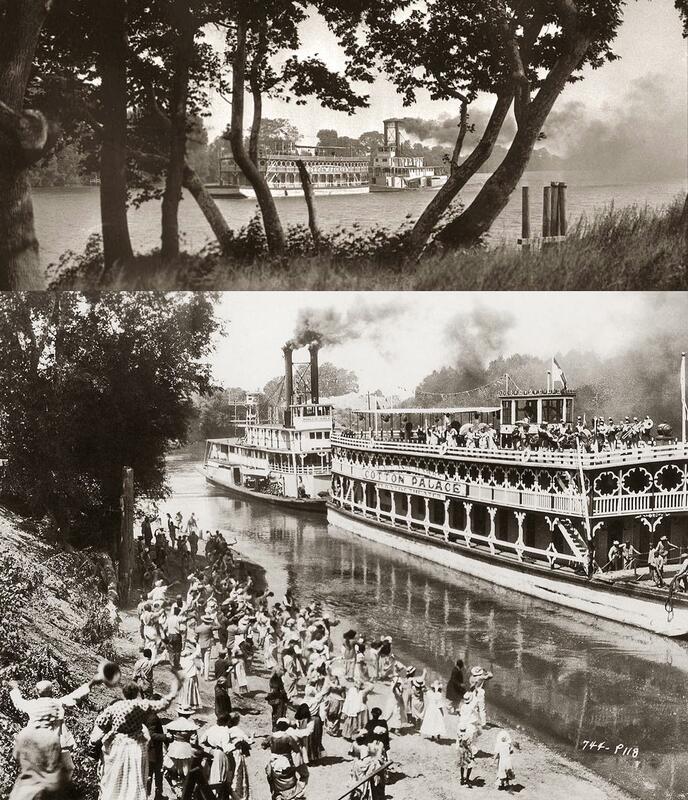 Editor's note: we are pleased to offer the Sternwheel towboat calendar featuring historic boats (above) and the Delta Queen calendar, below. 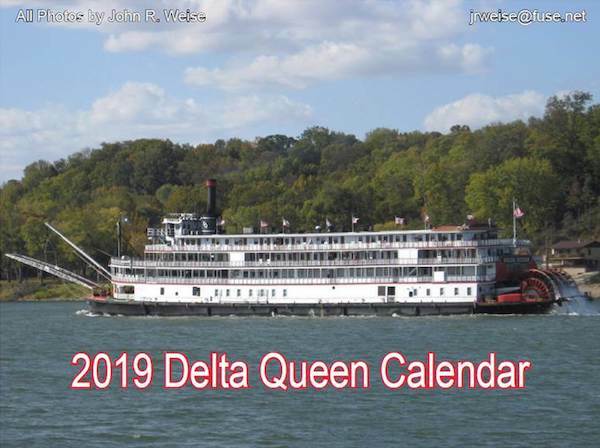 My new 2019 Delta Queen Calendar is back from the printer. Get your order in as soon as possible to fully celebrate the 2018 exemption! This is the twelfth year in a row that it has been published! The photos were taken between 1989 & 2008. The price of the calendar $15 remains the same. The price of mailing an individual calendar is $3 or two calendars for $4. 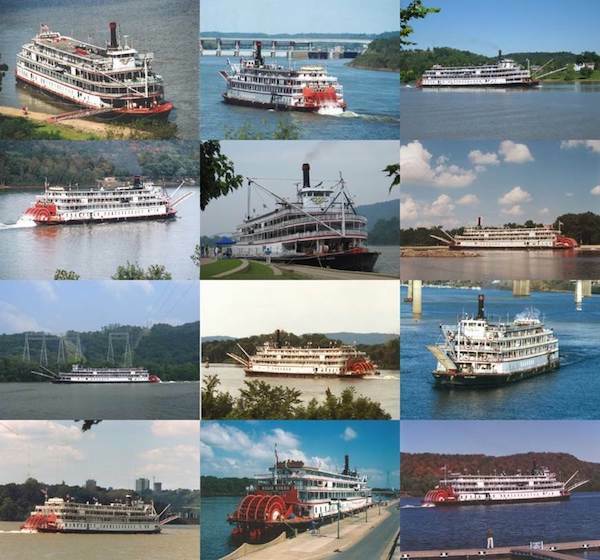 Editor's note: We thank John Weise for his dedication to the Delta Queen, and to his photography of all paddlewheel riverboats that pass through Cincinnati, one of the great Steamboatlandia cities. All photos by John Weise. We urge you to place your order soon, since his calendars sell out every year. 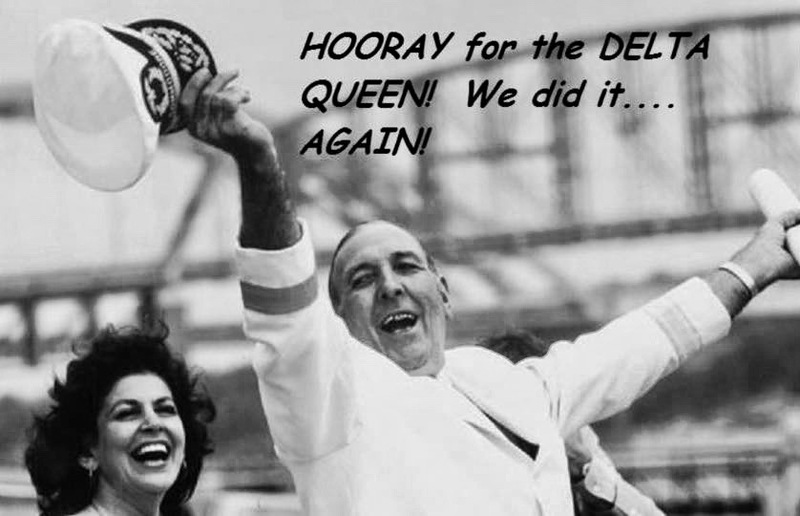 Tomorrow will be a historic vote for the Delta Queen Steamboat. As your US Representative to vote YES on the Coast Guard Authorization bill, S 140, which includes provisions for the Delta Queen. The bill passed the Senate last week. "Delta Queen Movement on the Verge of Historic Victory—Contact US House for Delta Queen Bill Set for Vote tomorrow, Tuesday, Nov. 27"
Delta Queen supporters are on the verge of victory in our decade-long movement to allow the historic Delta Queen to once again travel America's rivers—the US House votes tomorrow on the Delta Queen (DQ) bill. Contact your US representatives and urge passage of the bill. The Delta Caucus and other DQ supporters have been advocating for this legislation ever since the last required Congressional exemption lapsed in 2008—it has taken 10 years but we can now see victory near. DQ supporters need to continue doing our due diligence in backing the bill today and up until tomorrow's vote. NOTE: The Delta Queen has an exemplary safety record, extensive upgrades will add new boilers, generators, rebuild the paddlewheel, complete a system of state-of-the-art safety requirements, create additional exit routes, and the Coast Guard has to give a rigorous safety inspection (as it does all publicly operated vessels) before the DQ can travel one inch off the dock. Allegations about a "terrible fire hazard" are simply bogus. 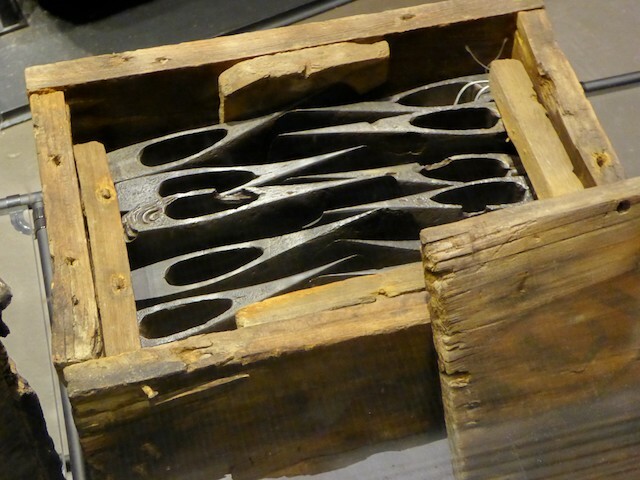 Opponents often make the false claim that the boat is entirely made of wood, but this is bogus: the boat consists of 75% steel and other non-combustible materials. The wooden portion is only about 25% and will be further reduced. The boat has a steel hull and state of the art safety systems. As expected, the bill overwhelmingly passed the Senate by a vote of 94 to 6 on Nov. 14. The bill also adds a requirement for replacing 10% of combustible materials each year, thus adding additional layers of safety to a boat that was operated safely for decades on America's rivers. Again, if the Coast Guard finds any safety issue, they will prohibit the boat from traveling until the issue is resolved, in the unlikely event that there is any issue after all the upgrades are in place. The Delta Caucus asks our supporters to contact your US House representative and urge passage of S. 140, the Coast Guard Authorization Bill including language that will allow the Delta Queen to return to overnight cruise service, for a vote on Tuesday. The bill will require a 2/3rds vote for approval, but prospects for passage are strong. The exemption is for the Safety of Life at Seas (our italics) Act of 1966, which as the name clearly states was intended to apply to ocean-going vessels, not a riverboat like the DQ which is never more than a few minutes from land. The boat is a National Historic Landmark, and the bill has been endorsed by the International Seafarers Union, the National Trust for Historic Preservation, the American Maritime Officers, and many other historical preservation organizations. Allowing the DQ to resume its travels will preserve a national historic treasure, educate many travelers about the history of steamboating across America's heartland, promote appreciation of our region's natural resources with the first-hand exposure to the beauty of the region by travelers, create about 150 jobs, and generate tourist dollars in the ports where it stops. Most importantly, passage will reward Cornel Martin and his team's exemplary efforts to go above and beyond the call of duty by adding so many layers of extra safety precaution on the boat. This does not require any taxpayer funding, but merely legal permission for the boat to travel again. We commend the many Members of Congress in both Houses who have championed this legislation, including Sen. John Boozman (R-AR), Sen. Tom Cotton (R-AR), Sen. Roy Blunt (R-MO), Rep. French Hill (R-AR), Rep. Rick Crawford (R-AR), Rep. Steve Cohen (D-TN), Sen. Roy Blunt (R-MO), Sen. Claire McCaskill (D-MO), Sen. Sherrod Brown (D-Ohio), and Rep. R-Ohio, and the many other members of Congress (too numerous to list here) who support this bill. The center of opposition to the bill is led by a competing steamboat company, American Cruise Lines that operates out of offices in Connectict and also owns a shipyard in Maryland. They have complained that if the DQ is allowed to travel again it will harm their business, although there has been a major resurgence of steamboating on the Mississippi and its tributaries in recent years and there is plenty of opportunity for a number of steamboats on our rivers. American Cruise Lines' lobbyist has also made erroneous charges about the safety of the DQ, in spite of its excellent safety record over 80 years of being safely operated on America's rivers and the many new layers of safety requirements in the legislation, the program of renovations planned by Cornel Martin, and above all the fact that the Coast Guard has to inspect the boat before it travels and will prevent it from traveling if any safety defect is found, until the issue is resolved. ADDITIONAL NOTE: Please note that the Coast Guard inspectors' actions in approving the boat for travel over the decades was the true meaningful statement about the boat's safety, and their inspections in the future if the bill passes will be the definitive action on this subject. It is certainly true that when bureaucrats in Washington, DC at the US Dept. of Homeland Security, the Coast Guard of any other agency for that matter who know little or nothing about the DQ are asked slanted questions such as "There is this entirely wooden, old boat that is a terrible fire hazard called the Delta Queen. Do you think it should be allowed to travel on America's waterways again?" Of course they will say "No." But they are not informed about the facts of the boat's safety record and the new upgrades, and again the only actors who matter are the Coast Guard inspectors on the rivers who do the actual inspections. American Cruise Lines has several boats on the river now and one in the Pacific Northwest. Their lobbying firm is Blank Rome. Their CEO, Mr. Charles Robertson has spent well over a half million dollars over the last several years with the Blank Rome firm trying to defeat any effort to pass legislation to allow the Delta Queen to return to overnight cruise service. Today we're one step closer to returning the legendary DELTA QUEEN back to America's rivers with the passage of the Coast Guard Reauthorization bill passed in the U.S. Senate today. Special thanks to the tireless efforts by Senators Blunt and McCaskill for making this happen! Now the bill will go before the U.S. House of Representatives. If you want to see the DELTA QUEEN sail again please make sure your congressional representatives know you want them to vote YES on the Coast Guard Reauthorization bill! 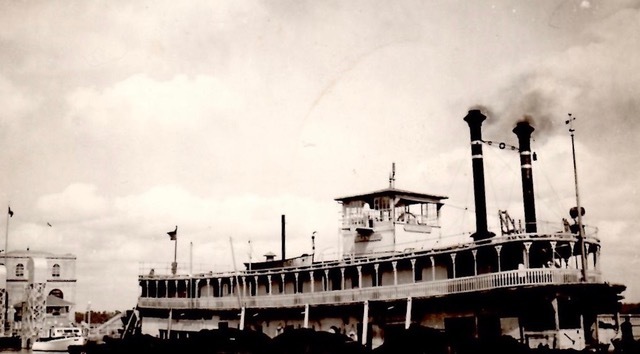 WASHINGTON - Missouri Senators Roy Blunt and Claire McCaskill today announced that their legislation to bring the historic 1920's riverboat Delta Queen back to the Mississippi River passed the Senate as part of the Coast Guard Reauthorization bill. The legislation reinstates a decades-long exemption to allow the boat to operate from its new home port of Kimmswick, in Jefferson County - creating jobs and strengthening economic growth and tourism. The Coast Guard Reauthorization bill now heads to the House and, if passed, will be on its way to the president's desk. "I'm thrilled the Delta Queen is another step closer to making its way back to Missouri and once again cruising the Mississippi," said Blunt. "Getting the Delta Queen, one of our National Historic Landmarks, back in full operation will create jobs, boost economic growth, and strengthen our state's tourism industry. I'm grateful to all those involved in helping to bring the Delta Queen back to our state and look forward to seeing it at its home port in Kimmswick." "We're finally full steam ahead to get the Delta Queen back home to the St. Louis region where she belongs," said McCaskill. "Buoyed by bipartisan support, her return means tourists up and down the Mississippi can once again enjoy the rich history of one of our historic landmarks, and will give Jefferson County an infusion of jobs and economic growth." According to the Jefferson County Economic Development Corporation, returning the Delta Queen to the St. Louis area will create more than 170 local jobs. The Delta Queen is expected to begin and end a number of its cruises each year in Kimmswick, and will visit more than 80 other ports in the United States. Built in the 1920s, the Delta Queen is an historic, wooden American steamboat that carried dignitaries (including three U.S. Presidents) and thousands of other passengers through the tributaries of the Mississippi River. The boat also served as a naval ship during World War II. For more than 40 years, the Delta Queen was exempted from a law passed by Congress regulating passenger vessels carrying 50 or more passengers overnight on domestic U.S. waters. That exemption expired in 2008. The bill passed by the Senate today restores the long-running exemption and requires the Delta Queen, which is fully compliant with all other Coast Guard safety regulations, to annually modify at least ten percent of the wooden portions of the vessel's superstructure to comply with the federal safety law requirements. The Delta Queen is listed on the National Register of Historic Places and is classified as a National Historic Landmark. 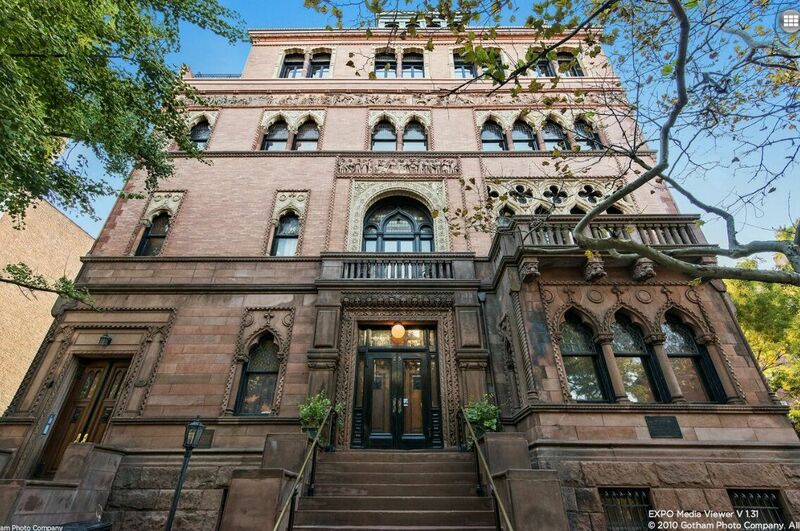 In 2013, it was designated as a National Treasure by the National Trust for Historic Preservation. This October, the SS Columbia Project is hosting its Fall Supper Soiree at Brooklyn's Montauk Club, gathering together to celebrate the season. A limited number of discounted Early Bird tickets are on sale now for $125 a ticket. Included in the price of ticket are dinner, an open bar, and live vintage jazz with Jason Prover and the Sneak Thievery Quartet. Don't miss this very special evening supporting the restoration of SS Columbia at the beautiful and historic Montauk Club. This is certain to sell out, so order your tickets now! SS Columbia is the oldest remaining excursion steamboat in the United States, was listed on the National Register of Historic Places in 1979, designated as an historic landmark in 1992, and in service from 1902 to 1991. Our goal is to bring her to the Hudson River and revive the grand old tradition of steamboats on the Hudson. Here, she will become a moving historic and cultural venue. You can help get the word out on the work to save this venerable British steamship built in 1937. Sorry, no wheel, but let's be fair! 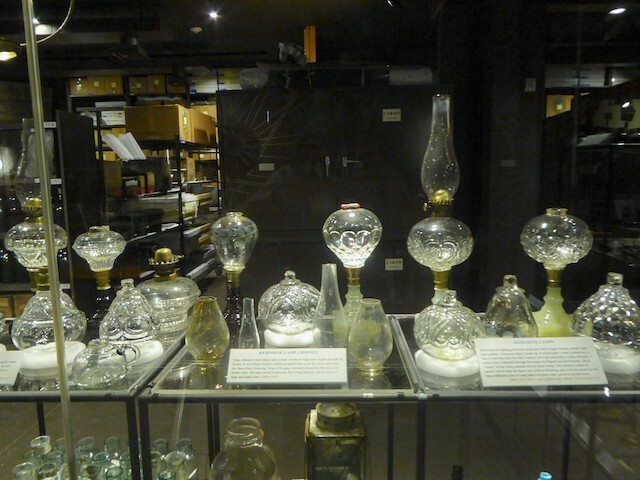 All steam vessels deserve preservation. Saving the past makes the present and future richer. Go to the P.S. Ryde Trust website to learn the history of this ship, and the contemporary efforts to save her. P.S Ryde 2018 - ?? Hi - Great website. My granddad lived most all his life on the Mississippi in Burlington, Iowa, and I just developed an interest in the rivers and what all took place on them in this country. I've been involved with the mining industry in the U.S. for over 40 years now and yes taking a little time to stop by all the museums out there is very fun. 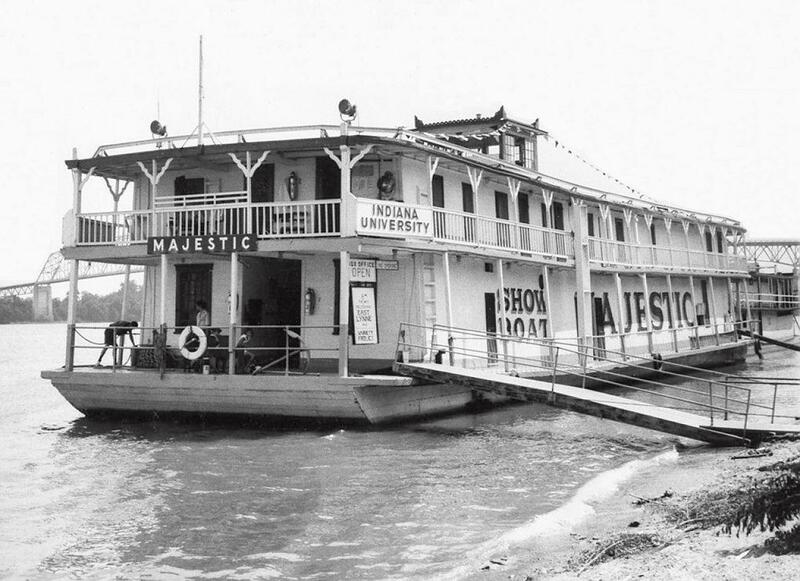 Editor's note: Grant found evidence of a long-gone paddlewheel boat in Utah. 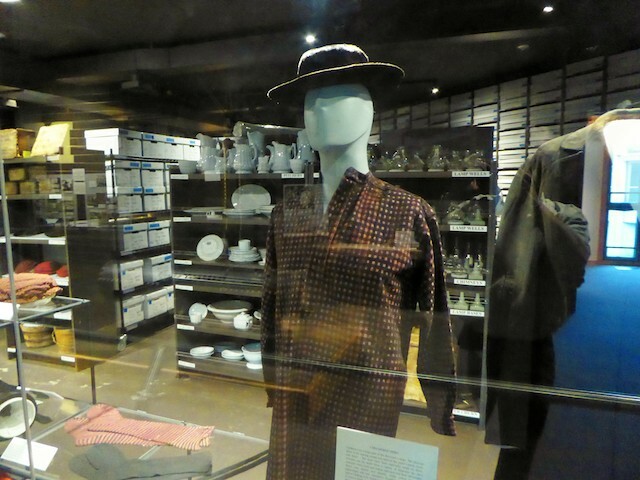 The Cliff Dweller is remembered in the Powell Museum. To learn more about the Cliff Dweller, visit the Powell Museum - powellmuseum.org, and there's a photo of a model of the boat at this blog: southwestbrowneyes.com. Stripping off the "City of Moah's" cumbersome superstructure and converting her to a stern-wheeler steamboat, Lumsden renamed his boat the "Cliff Dweller" in 1906 and turned to the tourist trade. She proved no more successful, however, so she was taken to Great Salt Lake the following year. BOAT #2 - Grant found memories of another long-deceased paddle wheeler, the Bertrand, on display at the DeSoto National Wildlife Refuge fws.gov. Ever since last December, the Northern Kentucky Tribune has carried a weekly installment from Don Sanders' memoir of his life on the river. Now, with express permission from the NKyTribune, the series is archived at Steamboats.com. click here to read The River. Captain Don Sanders is a river man. 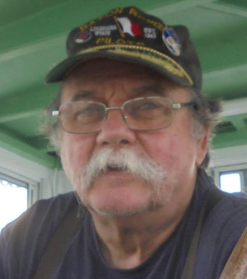 He has been a riverboat captain with the Delta Queen Steamboat Company and with Rising Star Casino. He learned to fly an airplane before he learned to drive a "machine" and became a captain in the USAF. He is an adventurer, a historian and a storyteller. Now, he is a columnist for the NKyTribune and will share his stories of growing up in Covington and his stories of the river. Hang on for the ride—the river never looked so good. The series is ongoing, so Steamboats.com will collect Don's river stories for our archive. One of our readers sent this photo, given to her by her aunt. It's the Towboat Elinor, built in 1905, and worked in the St. Paul area. We could not find any additional information. We're looking for information about the Elinor, including where this photo may have been taken. If you can help, please contact Steamboats.com. * We will pass the information along to Bonnie. 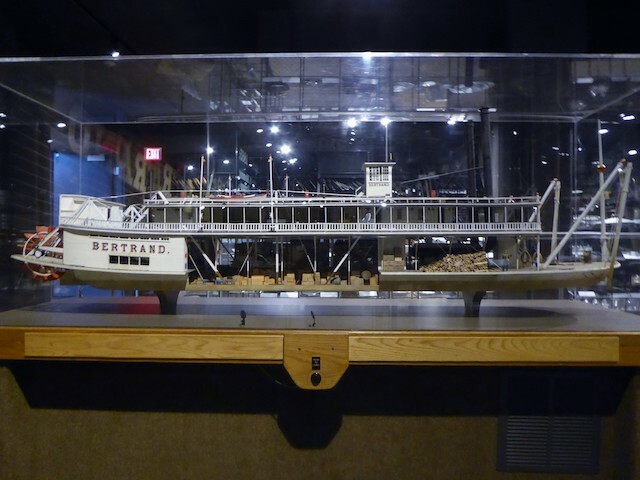 The "ELINOR" towboat in the picture on your website answered a question for us this afternoon at the Museum. We have a picture of her bow showing alongside an ACOE Maneuver Boat on the ways at the Howard Yard. We didn't know the date. After further investigation we determined the boat in our picture is your ELINOR. Further, we found records to indicate she was at Howards in 1924 where she received a new steel hull. She was built in Jeffersonville in 1904. Not by the Howards. Probably the Sweeney or Barmore yard built her. Her home port was Rock Island, IL and she was owned by the Corps of Engineers. The Corps sold her in 1940 and she was moved to Vicksburg, MS where she ran for several more years till scrapped. Back in 2002, my mentor for building websites made this graphic for me in Flash. We never did anything with it, then after that it was lost on a disk for sixteen years. The other day while loading up a new hard drive, and tossing out old CD-Rom disks, the thing turned up! It brought back fun memories - and now it's online just for fun. 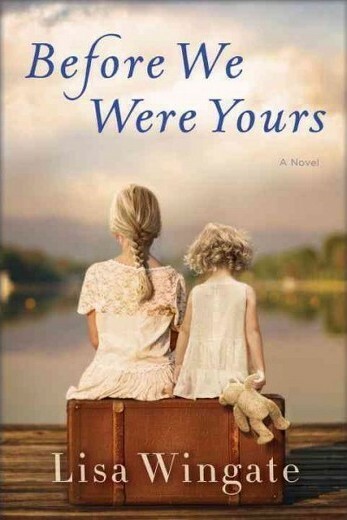 This novel tells the haunting tale of five children who grew up in the Depression era on a shantyboat near Memphis. The Foss family was poor, but their parents made it work, and provided love and a feeling of security to the children. However, one night when the parents needed to rush to the hospital to welcome another baby, authorities kidnapped the children and put them in an orphanage. The oldest of the children, twelve-year-old Rill Foss, tells the story of the children's journey. The Tennessee Children's Home Society included strict and cruel caretakers, and child abuse. My own father was orphaned in 1934 and spent part of his ninth year in an abusive Chicago orphanage. His older half-brother rescued him and got him into a better situation in a foster agency. Although my father had aunts and uncles on both sides, during the Great Depression, people were not looking for more children to support. The painful history of Rill and her siblings is beautifully told. In alternate chapters, we meet Avery Stafford, a woman who lives in current times. She's born into a rich Southern family and her father is a politician in the midst of a re-election campaign. Avery expects she will follow in her father's footsteps. She takes up temporary residence with her parents in Aiken, South Carolina, to help her father through a health crisis. While there, Avery strikes up an unlikely friendship with May Crandall, an elderly woman who has a mysterious connection with Avery's grandmother. Further, Avery has a connection to the Depression Era orphans that comes to light at the end of the novel. The fun is in the pursuit of the truth, which Avery pursues with a local man who inherited all the secrets from his father, a private investigator who "finds people." The book is a matter of finding identity, holding onto identity, and realizing roots are precious, and truth is sometimes hard to bear. Due to her privileged background, Avery looks down on poor folks who grow up on shantyboats, and cannot exactly accept that her own roots may be much different than she was led to believe growing up. While on the track for the truth, she comes to realize she is torn over whether she really wants to know the truth. I wasn't familiar with the scandal surrounding the TCHS orphan houses of the 30's and 40's, but after stumbling across the story, I was shocked and horrified that such a thing was possible in this country and not that long ago. I wanted to tell the stories that hadn't been told - those of the thousands of children who became caught in Georgia Tann's web. I did travel for research. 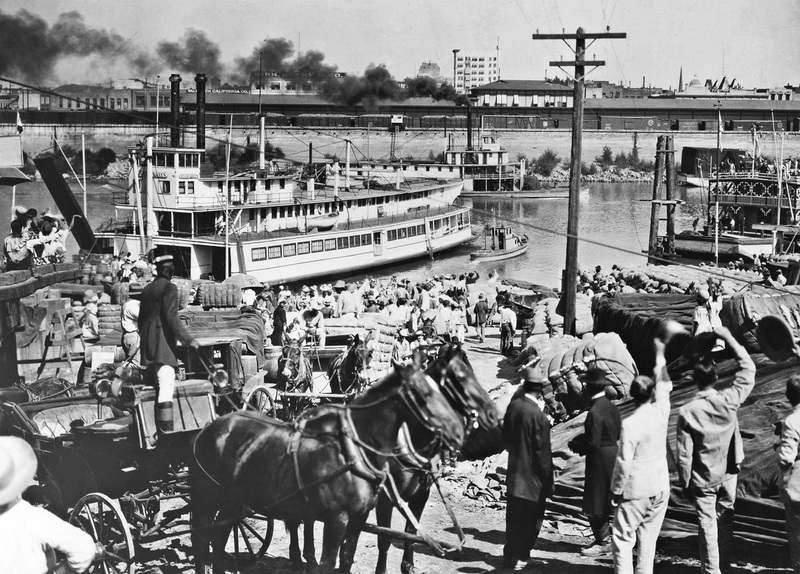 Visits to Memphis were invaluable, as was spending time at Mud Island and along the river, learning about the life Rill and her siblings would have lived on the family's shantyboat before they're taken to the TCHS orphan house. We also thank Lisa Wingate for contacting us during her historical research, and we were glad to share pictures of shantyboats at this site in the Dave Thomson Collection. I would like to inquire about the blueprints of the MQ. Would it be possible for me to get a hard copy or digital copy of the plans? The MQ has a special place in my heart. I was seven when I witnessed her first arrival and commissioning at Cincinnati in 1976. So sad that she's gone. Do you know what eventually became of her hull? Unable to email the large files, I eventually sent him a disk. In exchange, he promised to go through the blueprints and choose the best ones to post at the site. About a month ago he sent me his choices, and now they're posted! 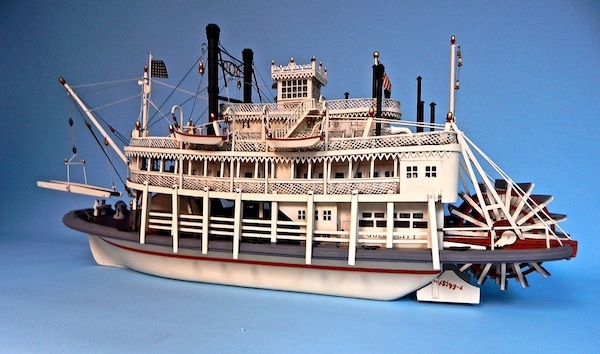 Click here to see selected blueprints of the Mississippi Queen. Make 2018 a steamboat calendar year! Earlier this week on Facebook, Travis Vasconcelos posted several photos from the Mississippi Queen Steamboat's first trial run. The first leg was down the river, which went fine. I arrived in time for part two - going back up the river to Cincinnati with the help of a towboat. One of the photos from Travis is this one of my dad and Betty Blake. Dad was just two weeks into his fiftieth year at the time. 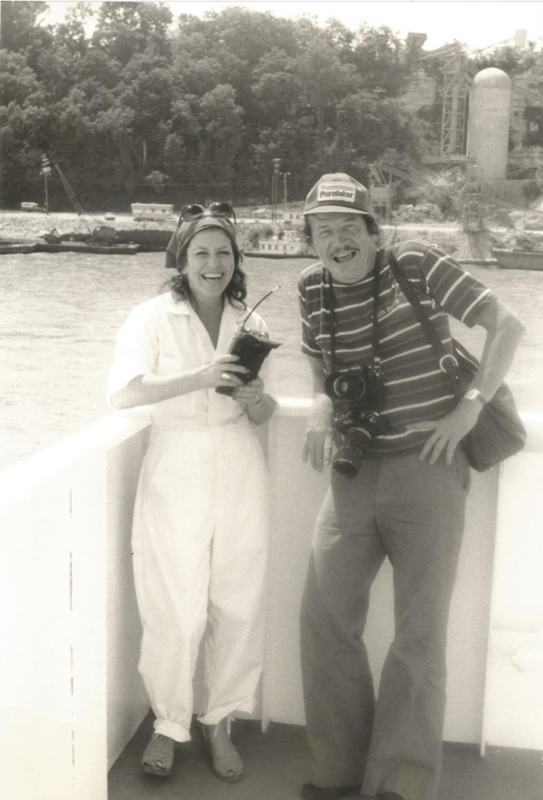 Betty Blake and Bill Muster on the starboard wing of the bridge, Fourth of July, 1976, during the first voyage of the Mississippi Queen Steamboat. To access the Mississippi Queen Steamboat page at this site - click here. A new article in the Louisiana Weekly outlines the continuing struggle to pass HR 619 in the House and save the Delta Queen Steamboat. As the article reports, American Cruise Line owner Charles Robertson is lobbying against the Delta Queen bill. It's difficult to understand why a two hundred passenger ship poses any threat to his company, which is building multiple gigantic cruise ships for the Mississippi River system. Photos from John Fryant show one folk art model and one that's a scale model of a real boat. Here at Steamboats.com we love 'em all! The Queen City folk model. 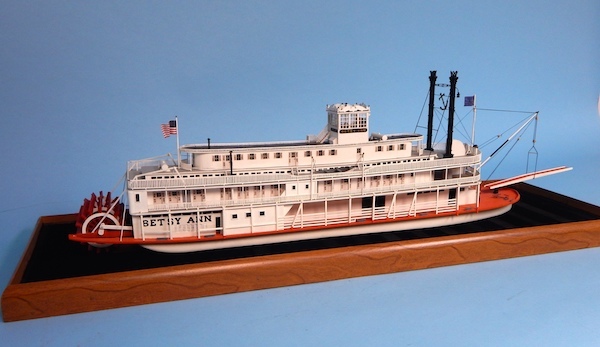 The Betsy Ann scale model.